“General McChrystal has doubtless served his country bravely and honorably and at great risk, but to date his lasting legacy will be as the great facilitator of the obscenity that was transmuting the greatest symbol of this nation’s true patriotism, of its actual willingness to sacrifice, into a distorted circus fun-house mirror version of such selflessness. ”Friendly fire killed Pat Tillman. “Mr. McChrystal killed the truth about Pat Tillman. “And that willingness to stand truth on its head on behalf of “selling” a war — or the generic idea of America being at war — to turn a dead hero into a meaningless recruiting poster, should ring essentially relevant right now. “From the very center of a part of our nation that could lie to the public, could lie to his mother, about what really happened to Pat Tillman – from the very man who was at the operational center of that plan – comes the entire series of plans to help us supposedly find the way out of Afghanistan? “We are supposed to believe General McChrystal isn’t lying about Afghanistan? “Didn’t he blow his credibility by lying, so obviously and so painfully, about Pat Tillman? ”Why are we believing the McChrystals? Sorry to have to do this to you, but I do believe this is indeed the cutest. video. ever. If alien beings ever come to earth to decide whether or not to destroy us, they should spare us why, exactly? Can anyone really deny that when you get down to brass tacks, human beings are animals? Black Friday turns a little ugly again this year, as early morning Wal-Mart shoppers ripped into shrink-wrapped items that were supposed to remain closed until the 5:00 a.m. sale time. Management at the Upland Wal-Mart called local police to the store at 2:44 a.m. when customers began “fighting inside,” reported the Los Angeles Times. About 300 people were in the store, which had remained open all night as a security precaution after a Wal-Mart worker on Long Island, N.Y., was trampled to death last year on Black Friday when a surging, impatient crowd rushed the doors after the store opened. “This was without a doubt the worst I’ve ever seen it,” said one employee, who said she has worked a dozen Black Fridays. “They wouldn’t let people line up,” she added. “They were belligerent. They just bombarded the store.” Several officers were sent and stood by as shoppers were kicked out and the store closed down, Etchason said. The bargain hunters were told to line up in the parking lot. Meanwhile, the carts were emptied and all the items returned to the shelves, employees said. But they said that outside, people began “yelling and screaming,” pounding on the glass doors and trying to sneak into the store through the lawn and garden section. A very big thank you to David Gerrold for inviting me to Tuesday night’s taping of Big Bang Theory at Warner Brothers. 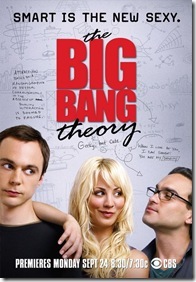 BBT is one of those shows that’s criminal of you not to be watching. But not to worry, if you’re not, everyone else is: It’s the number one comedy on television right now, and deservedly so. KOST’s Bryan Simmons came along and, as a fellow Trekkie, was excited to spend time with Mr. Gerrold, especially for lunch at Bob’s Big Boy in Burbank before the taping, where the famous Trek alum and sci-fi luminary regaled us with true Trek tales. Even better, we got to hang out backstage after the show and meet the stars, the writers and the producers. Tres cool. Bottom line, Penny (Kaley Cuoco) is about a hundred billion times hotter in person than on TV. Finally, a major media pundit asks the question I’ve been asking anti-choice proponents for years… If abortion really is “murder,” then what do they think the legal punishment should be for doctors who’ve performed them and women who’ve had them? The “abortion is murder” rhetoric always falls apart at this point. What this shows us is that most of the people shouting that abortion is murder DON’T REALLY BELIEVE THE RHETORIC. I’m as in love with January Jones as any Mad Men fanboy is… but I have to admit her turn last week as guest host on Saturday Night Live just wasn’t… er… that good. Okay, it was awful. Okay, it was embarrassing. I felt terrible for Miss Jones. I wanted to jump through the TV screen and rescue her. There’s a fantastic critique posted today on MSNBC explaining 10 ways to fix SNL, and I can’t argue with a single point.